Last week, I was treated to a delicious, homemade dinner with gorgeous mountain views and a glass of red wine, while housesitting for the week. My boyfriend threw this side dish together. He knows how much I love carrots, and any new carrot recipes are a warm welcome. It's easy to stick with munching on raw carrots or throwing them in stir-fries. Cooking the raisins in the pan gives a sweetness to the entire dish, and they cook down almost to a juicy glaze. 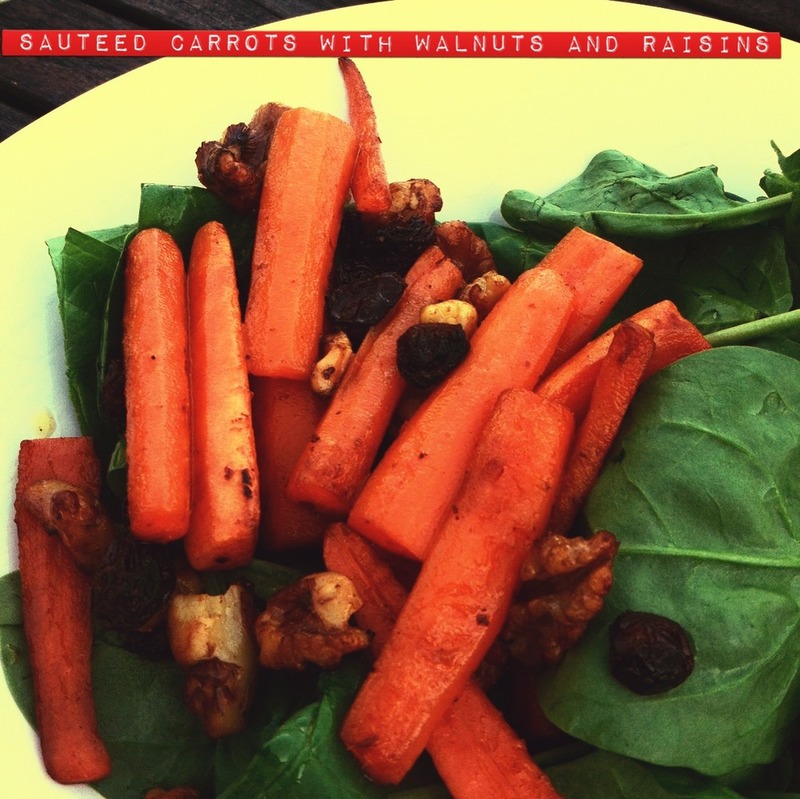 The walnuts add a delicious crunch. The best part - it's a simple and quick side dish to throw together for a weeknight meal. Heat the olive oil to medium-heat, and cook the carrots until soft. Add the raisins and walnuts, turn heat to low-medium. Allow to cook down, until raisins are soft and juicy. Next time, I'm going to add a dash of balsamic vinegar. It would pair well with the raisins & walnuts! This was perfect paired with pork-chops, grilled pineapple, and a bed of spinach.